Give your comfy living room a modern update with this electric motion sofa. The sofa features pad-over-chaise seats that give you comfort from head to toe, enhanced by thick padded track arms. Power reclining seats on both ends let you kick back and relax at the touch of a button, pairing with the sofas clean lines for modern style and function. 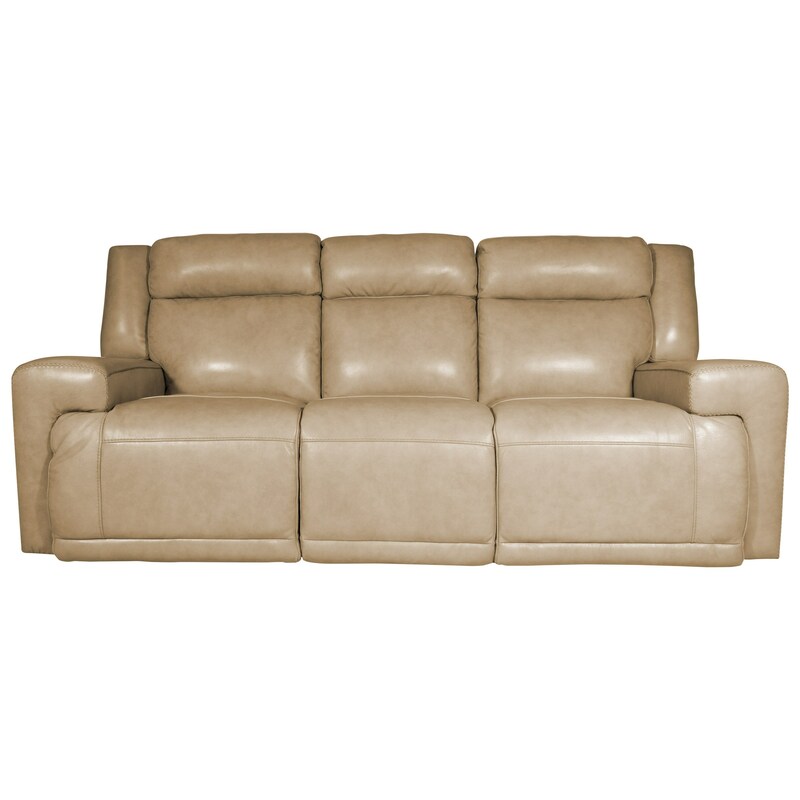 The Burke Power Reclining Sofa by Futura Leather at HomeWorld Furniture in the Hawaii, Oahu, Hilo, Kona, Maui area. Product availability may vary. Contact us for the most current availability on this product. The Burke collection is a great option if you are looking for furniture in the Hawaii, Oahu, Hilo, Kona, Maui area. Browse other items in the Burke collection from HomeWorld Furniture in the Hawaii, Oahu, Hilo, Kona, Maui area.